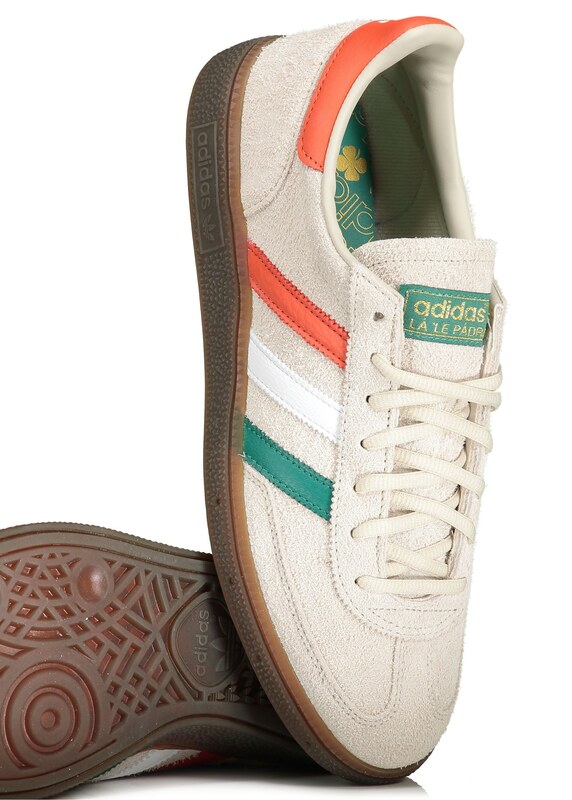 Released to celebrate St. Patrick’s Day, adidas Originals present an Ireland inspired Handball Spezial decked out in appropriate colours. 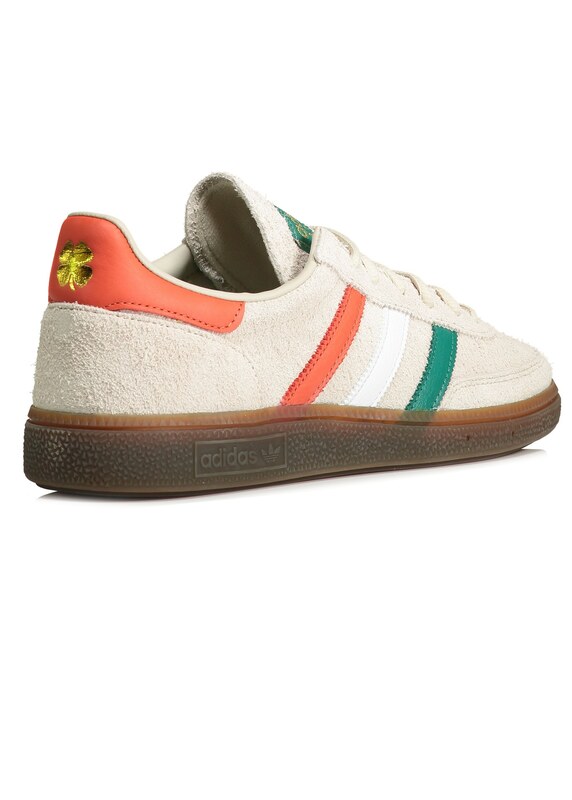 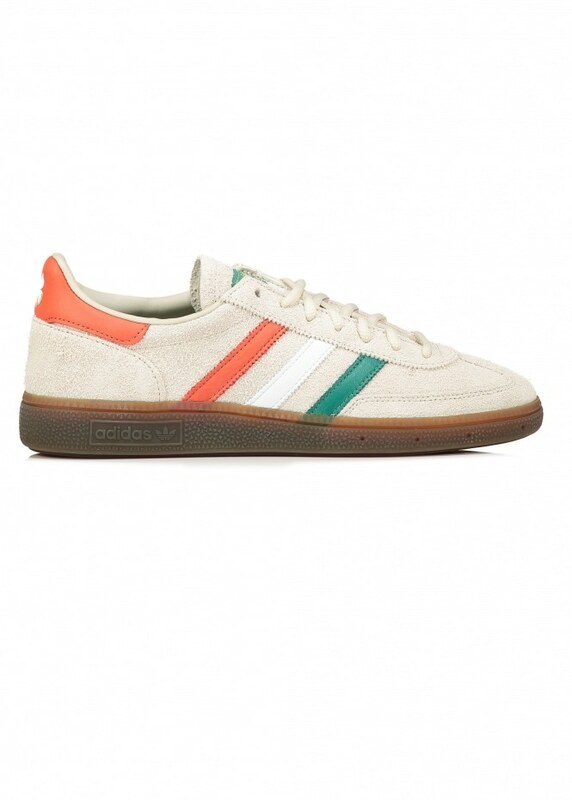 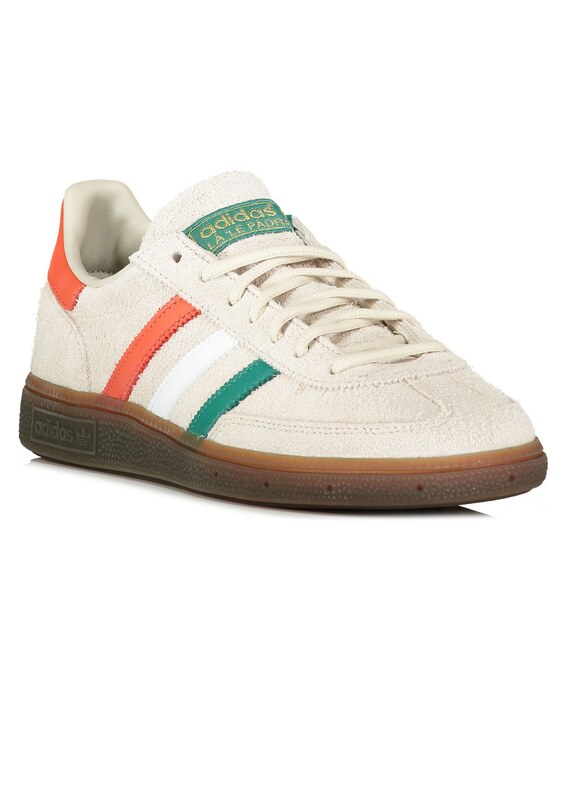 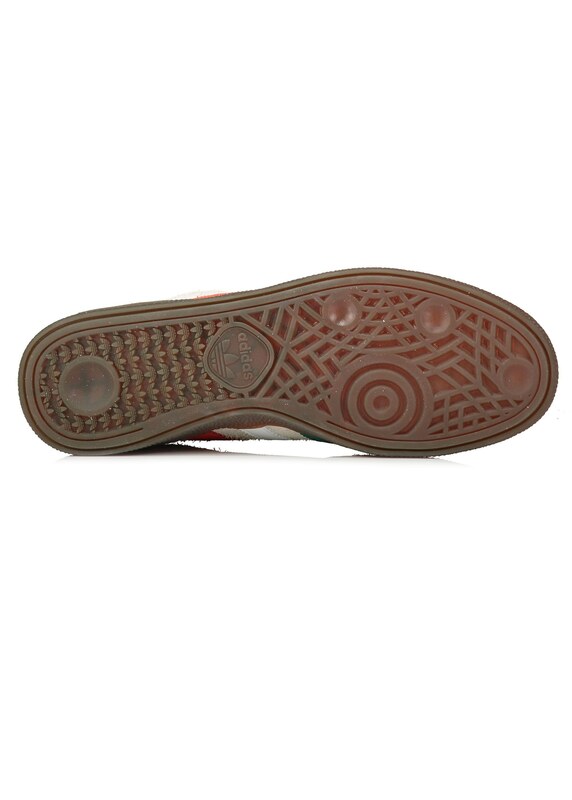 With three-stripes referencing the country’s green, white and orange flag the upper is decked out in a textured pigskin nubuck suede that sits stop it's vintage gum sole unit. 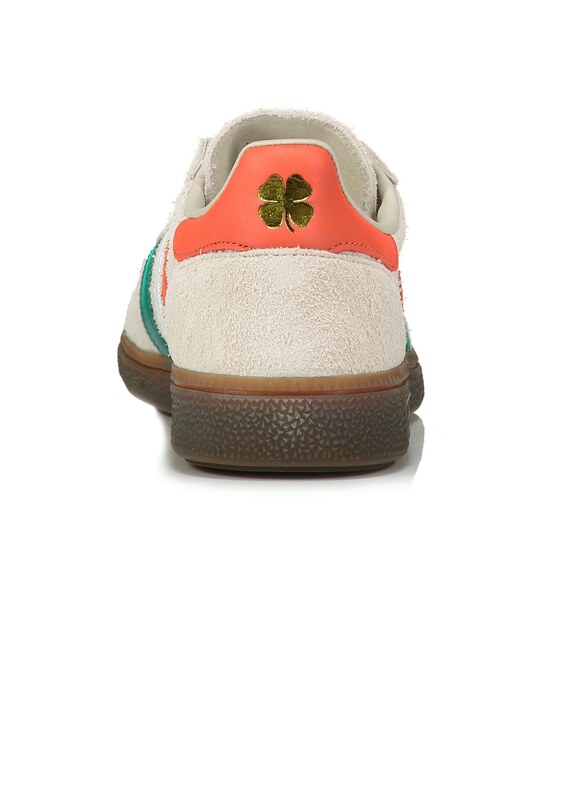 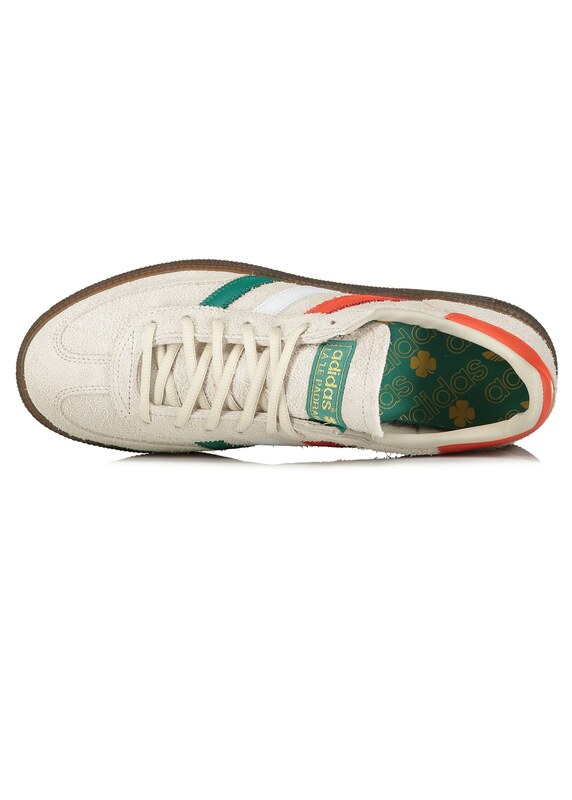 With an embossed golden adidas logo and four leaf clover to the heel the limited edition sneakers are finished with the Gaelic term "Lá 'le Pádraig", which of course means 'Happy St. Patrick's Day'.